I’m not normally the type of person who uses the word, “blessings.” Not to imply that I’m not thankful for things in my life or feel gratitude on a daily basis (I do! ), but to me, blessings rise to a different level. Blessings are a feeling of gratitude that sinks deep in the marrow of my bones combined with a feeling of luck that makes me feel light on my feet. Blessings bring tears to my eyes, long after the situation has passed. September was a month when I was reminded of the many blessings in my life. 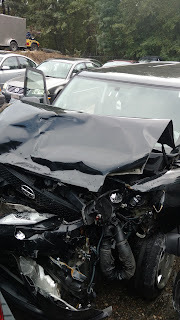 The Viking’s son--we’ll call him Viking Junior--was in a four-car pileup on the highway while driving my car. Viking Junior walked away with nothing more than a sore chest from the airbag. My wrecked car is my first blessing of September. The outcome of the accident could have been much different if Viking Junior had been driving his car, which is ten years old than mine. 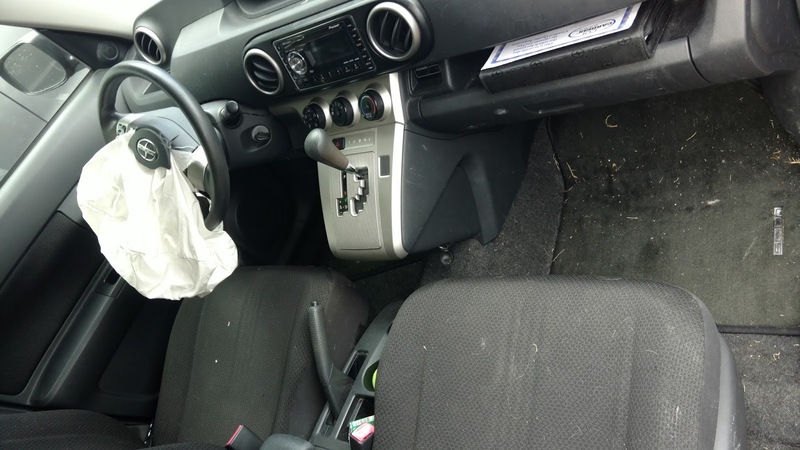 Ten years of safety features, a better crumple zone, and airbags means the hood of the car was crushed, but the passenger compartment looks barely touched. 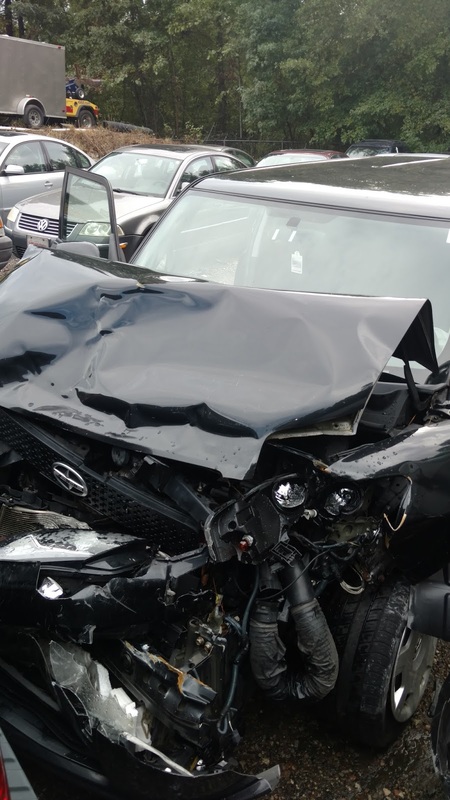 The Viking and I are constantly grateful to fate that Viking Junior was driving my car when the accident happened. My second blessing was a reminder that I have the best parents on earth--a phrase that encompases my mother, my father, and my step-mother. It hadn’t occurred to me that my boyfriend’s teenager wrecking my car would be a cause of relationship strife until a friend asked about it. My step-mother always treated my brother and me as one of her own children, while never expecting that we would treat her like our mother. It never occurred to me to treat the Viking’s children differently and incidents like this accident are a reminder of why such a good role model matters. My third blessing of September involves finances. There’s no question that replacing my reliable, paid-off, steady-Eddie car is a financial hit and we will have to make sacrifices to make a car payment. But we can make a car payment and we are able to get a new car. That makes the Viking and I very fortunate. We have good jobs and have managed our finances carefully. Not everyone is so fortunate. The fourth blessing is, of course, my relationship with the Viking. Romance novels can come true y’all. What blessings are in your life? Blessings all round I'd say. How wonderful! Bountiful blessings, indeed! Every day my chronic disease is in remission is a blessing. I love the small blessings as well as the large ones. Denise, that is a blessing. And you're right about counting the small ones, too. My blessing are my husband and daughter. Our three cats and my books! My family is always the biggest blessing--super supportive husband, who rarely mentions being at risk of being brained by the stacks of books lying around, and who hurries home so that I can rush to ballet class; my growing readers, who are even sometimes considerate human beings ;)... And I'm super thankful to still live nearby to our parents, who are fabulous. And our sibs, which is fun! Can't beat the kids being able to hang out with their cousins! And of course, BOOKS! LOL! :) Thanks for the reminder to count all our blessings, large and small, Jennifer! Free Books, a Mega Sale, and More!! !